Our Entry Fees are actually lower than last year! We have managed to negotiate a better deal for our toilets this year, and as we did put the entry fees up last year to cover this, we felt it only fair reduce them for this year’s event. This will have minimal impact on our charity donations, and we are so grateful for all your help and support with this event. Kirste Charity Curry Night on Thursday 18th July. Kirste 5 Memorial Race on Sunday 21st July. We are so proud and excited to be able to confirm our fundraising total for 2018, which will be donated equally between Macmillan Cancer Support (261017) and Southend Hospital Charity Breast Unit (1057266). Thank you everyone who supported us. Thank you to all our runners, volunteers, officials and running partners, for making 2018 a great race day once again. A charming 5 mile route heading to Hockley Woods, returning through Cherry Orchard Jubilee Park, New England Wood, & Grove Wood, now into it’s 7th year. 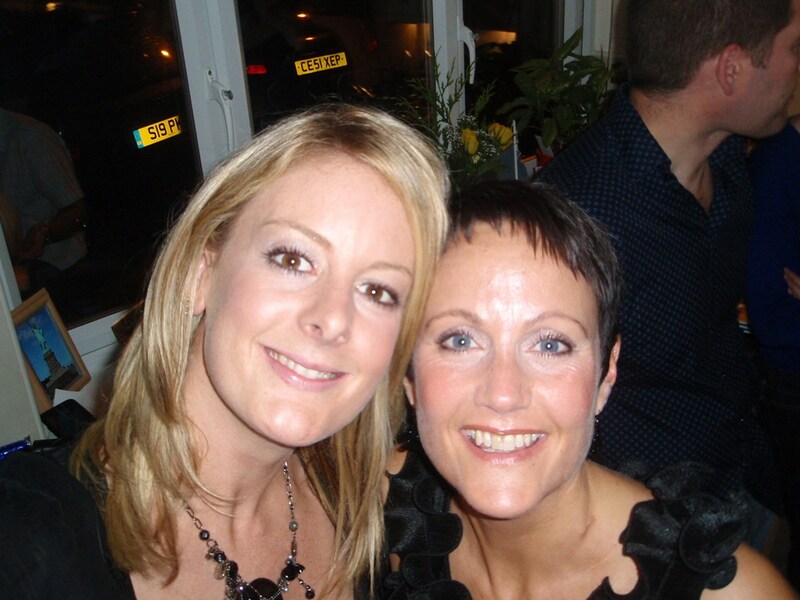 “Superb,uplifting,inspirational – just as Kirste would have wanted. 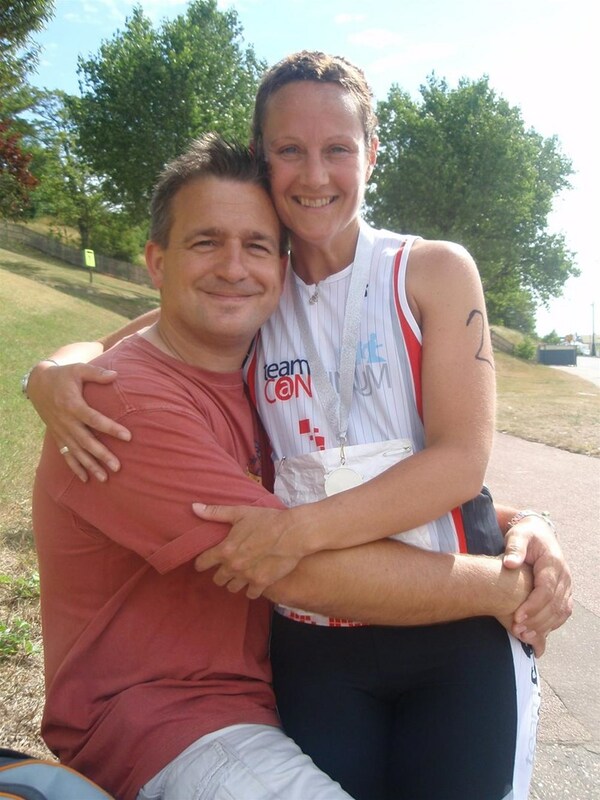 This is a memorial race in honour of my extraordinary brave and special wife Kirste. 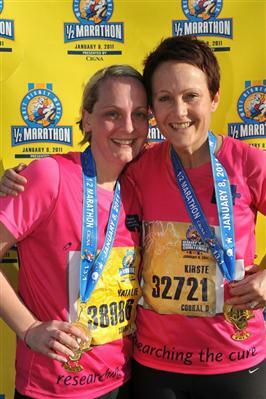 She loved running because of the camaraderie ,warmth and frienship she found with fellow runners. To design a more fitting tribute would be difficult if not impossible, the event you guys created is the perfect tribute. You will find nobody that knew Kirste saying anything different. 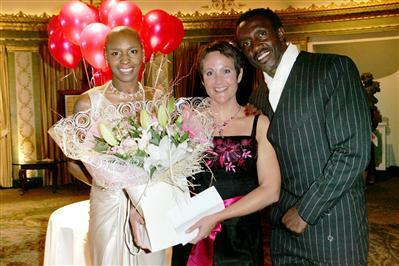 Kirste was diagnosed with breast cancer in 2005, and underwent six bouts of chemotherapy and radiotherapy. 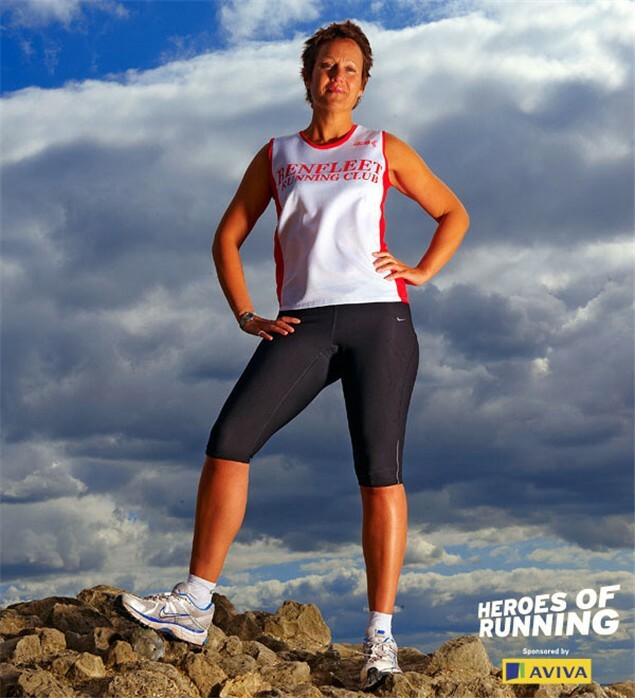 She passed away on February 9th 2012, at the age of just 42 after raising more than £50,000 for breast cancer charities by running 23 marathons while fighting the disease. Her smiling face will be forever missed. Sunday 23rd July 2017 was a record-breaking, heart-warming day ! 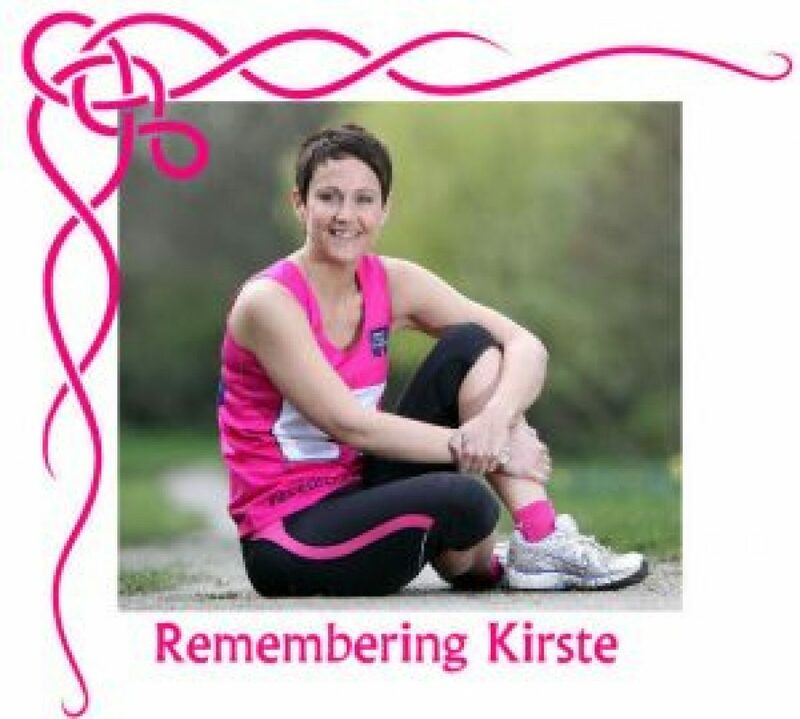 We are so pleased to announce that the 2017 Kirste 5 Memorial Race has raised £6,000, which will be donated equally between Macmillan Cancer Support (261017) and Southend Hospital Charity Breast Unit (1057266). Thank you to everyone who made the day so special. 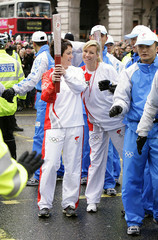 “Thank you to all our Marshals, Partners and to all the Runners. 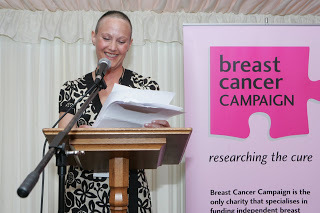 © Rebecca Harley pictures@rebeccaharley.com / 0044(0)7803219887 Breast Cancer Cancer Campaign annual thank you reception, House of Lords, London.